We all know that the holidays are a time for giving, so why not celebrate with a present that gives back? The following gifts are sold by cause-driven companies who have committed to making a positive impact on others and this world. In some cases, a toothbrush may be donated to a child in need, a pair of socks may be provided to a homeless shelter, or a tree may be planted. In other cases, a percentage of your sales may benefit environmental research or a training program in sanitation. No matter the benefit, you can be comfortable knowing that your money goes farther this year by supporting these cause-driven companies. 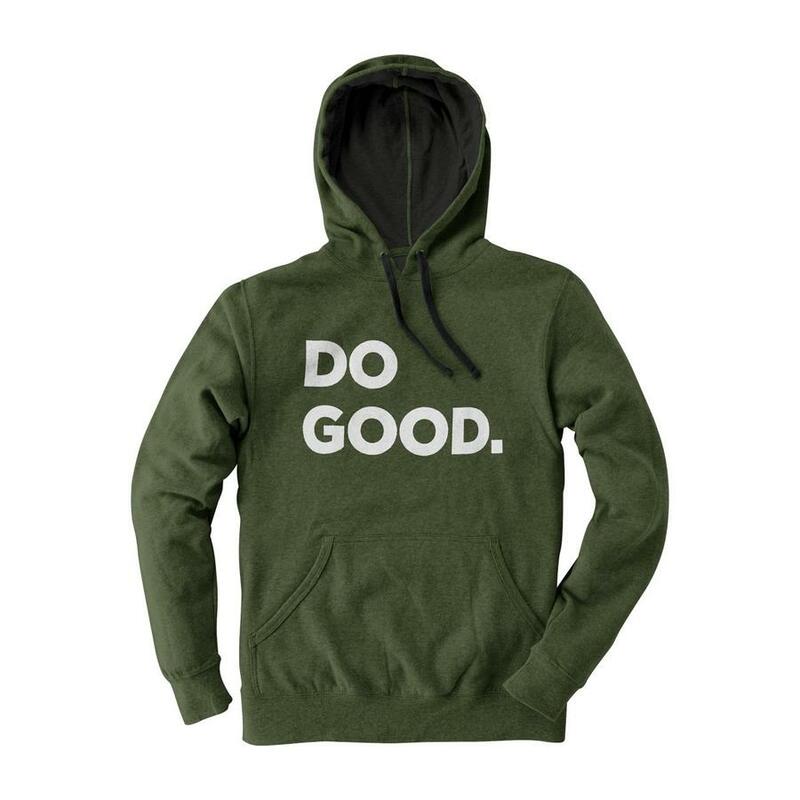 The Unisex Do Good Hoodie is made from plastic bottles. Yes, you read that correctly. Plastic bottles are shredded into flakes which are then melted into pellets. Those pellets are transformed into the yarn composing these hoodies. Not only is this purchase eco-friendly, but it is ultra-soft and comfortable. This product is available in both pine (shown) and red. Cotopaxi is a company built on the spirit of adventure, optimism, and determination. In addition to exercising sustainable and fair production practices, each year Cotopaxi earmarks 2% of its revenue for providing targeted grants to global nonprofits. Grantees are selected on their commitment to sustainable solutions and generating positive results within their communities. Previous grantees include organizations such as Nothing but Nets in Sub-Saharan Africa, CHOICE humanitarian in Latin America, Kilimanjaro Kids Community in Tanzania, and the Maria Imaculada Orphanage in Bolivia. The Koa Stone Washed Barrel watch by Original Grain is both beautifully made and delicately handcrafted. Constructed with all-natural Hawaiian Koa wood and Stonewashed Silver stainless steel, the watch is both durable and water resistant. Original Grain has a variety of modern and outdoorsy watches for both men and women. Original Grain has partnered with Trees for the Future in Senegal whereby every watch sold will plant trees, feed families, and change lives. Through the Forest Garden program, specific types of trees and crops are planted in a systematic way. Over a 4 year period, the gardens flourish providing families with sustainable food sources, livestock feed, products to sell and fuel wood. This organic cotton canvas tote features the message “Love Heals”, written in various languages around the world. The handles of the tote are constructed from recycled saree fabric, making it an eco-friendly and thoughtfully made gift for the traveler in your life. Thistle Farms support women who have survived trafficking, prostitution, and addiction. Through the support of donors and customer purchases, the organization was able to provide 825 hours of counseling and therapy, 664 medical appointments, 1,300 jobs for women and 74,800 hours of employment resulting in over $1.5 M in income. Keep those peepers protected while on the slopes or hiking in the mountains with Warby Parker’s polarized Downing Wide sunglasses. 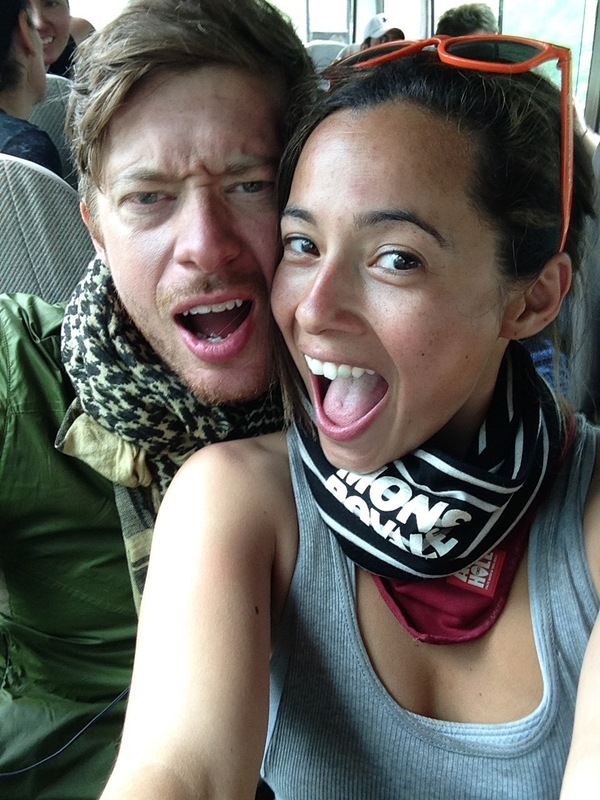 Speaking from experience, you do not want to be caught on the peaks of Kilimanjaro without adequate eye protection. Warby Parker provides a wide range of glasses and sunglasses for both men and women. This compass ring from PuraVida Bracelets, is the perfect gift for the adventure-ready traveler. Available in both gold and silver, this simple ring is guaranteed to inspire wanderlust. Founded in Costa Rica, PuraVida Bracelets are a movement symbolizing the simple things in life. The company’s name “Pura Vida” comes from the Costa Rican philosophy encouraging the appreciation of life’s simple treasures. Each item is handcrafted by one of the 350+ global artisans employed by PuraVida Bracelets. Your purchase provides a steady income and positive working environment while spreading the message to slow down and live in the moment. If you’ve ever been trekking, hiking, or even on your feet for a long time, you know the importance of using quality gear, particularly when it comes to socks. A hole in the toe, thinning material, and the development of funky odors are a common occurrence with cheap socks. Merino wool socks, on the other hand, provide lasting comfort with its anti-microbial, breathable, and naturally moisture-wicking properties. The Merino wool gift box set from Bomba is a perfect gift for any outdoorsy guy or gal. Do you know what the most requested item is by homeless shelters? While I was working at the Manchester FoodBank, I discovered that the answer is socks (and underwear). Bombas exists to help solve this problem through its 1 pair purchase 1 pair donated program. Since its inception, the organization has donated over 12,256,000 pairs to homeless communities in the United States. The socks donated are not the same as the socks sold through their website, rather, they are specially designed to fit the needs of their beneficiaries with anti-microbial treatment and reinforced seams for greater durability. The Chontalá embroidered strap can be used as either a bag or a camera strap. Available in multiple colors and patterns, each strap is embroidered by female artisans in the villages surrounding Chichicastenango, Quiche, Guatemala. Hiptipico is an ethical fashion brand showcasing the handmade creations of Maya artisans. Products include embroidered straps, coin pouches, bags, and other accessories. The name Hiptipico comes from the Spanish word “tipico“ meaning the traditional dress of the indigenous Maya people. Incorporating this name into their brand reflects Hiptipico’s commitment to preserving indigenous culture and creating sustainable job opportunities through this art form. Comfortable underwear is always a “must item” for outdoorsy adventurers. The Marc Skid line of underwear is made with the world’s finest organic Pima cotton. The cotton fibers, which are sustainably sourced from family farms in Peru, are luxuriously long resulting in ultra softness. durability and resistance to pilling. Furthermore, each velvety smooth waistband is made from one recycled water bottle. Styles are available in Bikini and Hipster for women and Boxer Briefs for men. $4 of every pair purchased goes toward a select charity which has committed to Save, Feed, and Cure the world. The consumer may choose a green pair to Feed the World, a red pair to Cure the World, a blue pair to Save the World, or a white pair to select any of the three causes. Recipient charities are carefully selected among those which have received a 4-star rating from Charity Navigator….and, yes the brand’s name is intended to be a “cheeky” pun. 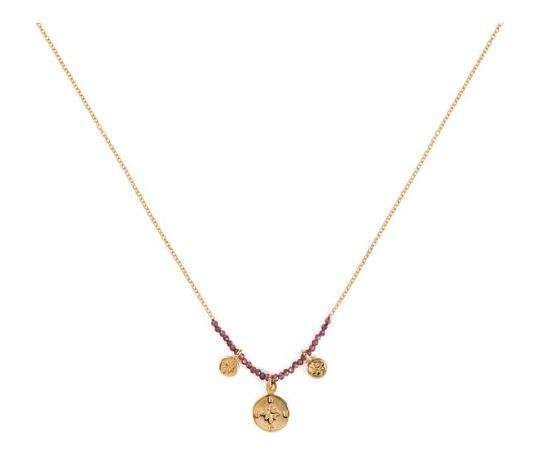 Celebrate future adventures with your traveling companion by gifting her a Gemstone Compass Chain Necklace from the Brave Collection. This piece is crafted in Gold Vermeil, and made by hand by fair trade artisans in Cambodia. Available styles include iolite, garnet, moonstone, and black spinel. The Brave Collection provides job opportunities to Cambodian female artisans who come from underprivileged backgrounds. Your purchase allows artisans to work in a dignified work environment where they are paid above average wages and receive benefits such as health insurance and stipends for their children’s education. Furthermore, 10% of profits are donated to fight human trafficking and empower women across the world. The Dopper steel bottle can be used both as a bottle and as a carafe with a cup. It is BPA-Free and dishwasher safe meaning it is both safe to use and easy to clean. A Polypropylene (BPA-free plastic) version of the bottle is also available in 6 different colors. The Dopper Foundation was established in 2013 with the mission to bring safe, clean water to underserved communities. They also aim to educate the public about waste management, water scarcity, and sanitation. 5% of all proceeds go toward creating new sources of clean drinking water and providing sanitation training to families in developing countries. For ages, birds have been a symbol of peace and freedom. What could be a more appropriate gift for a free-spirit? The Free Bird Bangle set from the Her Future Coalition, is composed of three .8″ bangles: one Sterling Silver, one 22 karat gold-plated brass, and one copper. The organization also sells various other jewelry and gifts. The Her Future Coalition is composed of female artisans who have overcome trafficking, child marriage or other abuse. 100% of the proceeds from your purchase benefits these women as well as the children in their shelter and education programs. This lightweight jacket pairs a classic look with the Civilian Conservation Corps logo. It is 100% nylon making the jacket thin yet durable. A waterproof coating protects the wearer from getting soaked in any sudden downpour. This jacket is an ideal gift for a lover of the outdoors. Check out their website for a variety of other clothing and apparel for both men and women. This particular jacket supports the continuing legacy of the 21CSC (21st Century Conservation Corps), a private-public partnership that engages veterans and young Americans to strengthen the nation’s infrastructure, boost local economies, and multiply returns on the country’s most valuable assets – it’s landscapes and people. Furthermore, as a product of the Parks Project, each purchase from this website helps to fund a project in one of America’s 58 national parks. “Sail away from the safe harbor. Catch the trade winds in your sails. Explore. Dream. Discover.” This travel pack includes 1 medium travel bag with the famous travel quote by Mark Twain, a 2-pack of adult Bamboo toothbrushes, and a 3-pack journal set. This gift includes only the essentials for a great adventure. Smile Squared is an initiative that provides toothbrushes to children in need, while also helping to fund “wish trips” for children who face life-threatening medical conditions. With your purchase of this gift, 2 toothbrushes are donated to those in need, and 10% of the proceeds from the journals and travel bag will help fund “wish trips”. Since its inception in 2011, Smile Squared purchases have positively impacted the well-being of children in all 50 states and in over 25 countries. Like what you see? Pin this post to read later! Love this list, just sent it to my hubby, fingers crossed 🙂 Even better that they all give back! Exactly! We love to support companies that give back, both locally and around the world.